Celebrating its 59th year, Turkey Rama is one of McMinnville’s oldest and most loved traditions! The community festival observes the historical importance of the once-thriving turkey business in the surrounding county. The turkey farms are gone, but Turkey Rama lives on! As the face of our community has changed, so has the festival itself. Turkey Rama includes a carnival, street vendors and much more. Downtown you’ll find vendors, food courts, music and entertainment, and more! 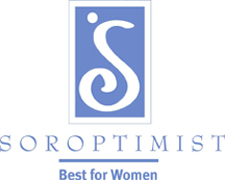 Don't miss the Soroptimist Elephant Ear booth! Including silent auction and holiday festivities. Auction items include beautiful donations from local merchants & artisans. See images from 2018 tour.